** Persuasion**. . Wallpaper and background images in the Jane Austen club tagged: photo jane austen jane austen novels books author pride and prejudice persuasion lizzie elizabeth bennet darcy fitzwilliam. 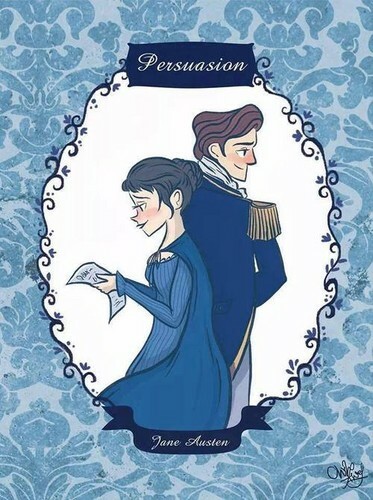 This Jane Austen fan art might contain 动漫, 漫画书, 漫画, 卡通, and 漫画卡通.